Geeklings, what is going on?! Welcome back to I Am Geek and after a couple of lackluster writing weeks, I’ve got this feeling that this week… this week is going to be much better. You see Geeklings, my work schedule has not been the best as of late considering I’ve been putting in late hours and just not having the time I’d like to sit in front of the ole laptop here and click-clack away. The good news is I should be on a more steady post-work time schedule so that should help. On top of that my writing schedule over at Fan Fest has shifted with the conclusion of Legion (read my latest review here in fact) which means I can probably write a bit more here with you guys. Which is a plus because I’ve missed being here often. Geeklings, I wish I could explain how intense work has been as of late but I’m hoping that things can settle down soon. I’ve just been really, really tired and sometimes don’t have the energy to put together coherent thoughts which is why there has been some lame posts and a serious lack of them. All that is in the past though as I think we’re going to have ourselves a solid week of writing, and I’m pumped. How pumped you asked? Well, how about I hit you with a brand new Week In Geek just to kick start things? Sounds like a plan? 1. Jurassic World: The Fallen Kingdom- If you still haven’t forgiven Chris Pratt for Avengers Infinity War, and I’m still looking to argue that you shouldn’t be blaming him in the first place, then maybe you can open your heart to his return to the Jurassic World franchise. The first one of these films was a great deal of fun and reminded us that we enjoy going to parks that offer thunder lizards that could eat our faces. We’re willing to look past the hokiness of running with heels on for an entire film or raptors that act like dogs because we’re entertained and dinosaurs are rad. I’ve watched three trailers for Fallen Kingdom and I still can’t figure out what kind of film it wants to be. Is it your general dinosaur action movie? Perhaps a horror movie? Or maybe is it a tongue and cheek sci-fi adventure? Not a clue. What I can tell you is that I’m interested. Because dinosaurs. And Jeff Goldblum… but mostly dinosaurs. 2. Luke Cage season 2- What do you do after you watch a bunch of genetically altered dinosaurs run amuck on the big screen? You come home, throw on Netflix and watch Luke Cage bring the heat to Harlem, that’s what! 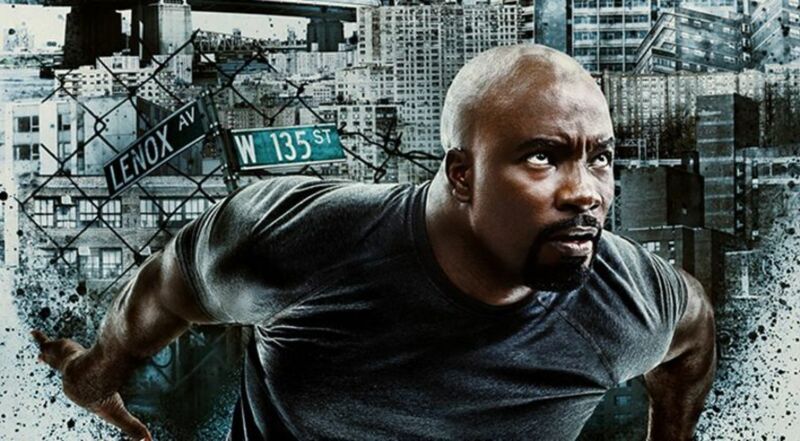 Season two of Luke Cage drops on Friday and if you’ve been paying attention to the trailers then this season looks to be bringing some high-level energy. While I enjoyed the first season of Cage I felt the first half was stronger than the second. With The Defenders, I felt we got a lot more shine out of Cage as the atmosphere was more relaxed for the character and he could play off of others well. Season two looks to give us more of that which I’m all for, while also building off of what we’ve come to love from the show. I’m very much looking forward to Danny Rand’s arrival, the two of them are too good together and I’m still hoping for Heroes for Hire, and further expansion of the Marvel Netflix Universe. I don’t think I’m asking too much for a Jessica Jones cameo, am I? Come on! 3. Stranger Things comic books- You read that right Geeklings! Not only will Stranger Things be making the transition to books with a prequel series based on Eleven’s mother (insert giggles of delight here) but they also will be crossing over to the realm of comics (insert more giggles of delight). It was announced today that Dark Horse comics would be issuing a new Stranger Thing comic series starting in the fall of this year. September in fact, just in time for my birthday! As for its subject matter, this comic series looks to fill in some of the holes of season one as it will concentrate mostly on Will’s time in the Upside Down. We only caught glimpses of Will’s life running from the Demogorgon and Dark Horse is looking to shed a little more light on just what exactly happened. If this means that I can get more Stranger Things while expanding the universe into new mediums then I’m all for it. This was an easy sell. Comics and Stranger Things? How could this go wrong? 4. Preacher season three- Can you believe Preacher is going into its third season? While I enjoyed season one of the show and found it’s perverse nature and craziness to be kind of refreshing, I was a bit more on the fence with season two. A lot of it had to do with the inconsistencies of the story and the fact that somethings were done just for shock value. You start to lose me when you’re doing crazy things for the sake of doing crazy things. I’m holding out hope for season three as we left things on quite the cliffhanger and the group in tatters. One thing that can’t be denied about Preacher is the strong work between its core characters and with such a massive dynamic switch coming at the end of season two I’ll be curious to see where they go from here. On top of that, you can find me at Fan Fest covering the episode reviews again. Three seasons running folks! I love my job. There you have it Geeklings, all the coolest things to look forward to this week. What are you geeking out about? Sound off in the comments either here or on our Facebook page. 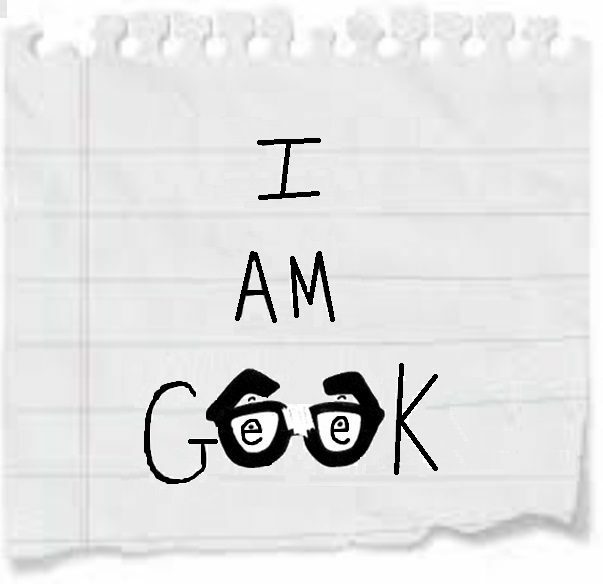 If you’d like to geek out about anything or nothing, in general, you can also find me on Twitter @iamgeek32. Let’s start this week out strong by getting hyped for all the geeky things ahead of us.